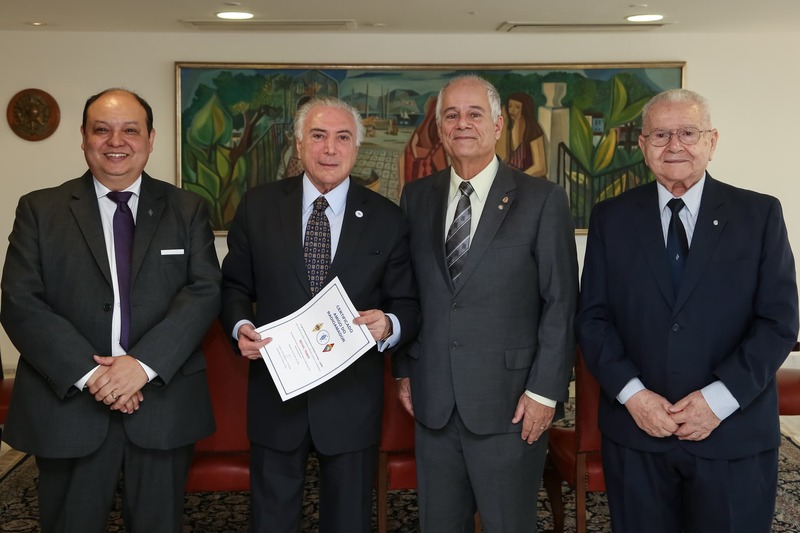 On July 19, 2018 the President of Brazil Mr Michael Temer warmly received LABRE’s board members. They presented him a certificate Friend of Amateur Radio together with a LABRE button and a copy of the 50’s film “If All the Guys in the World…”. He has mentioned the film in the past to show the importance of amateur radio in emergency communications. You can read the full story, in Portuguese, here. On the picture, from left to right, LABRE Vice-President Marcelo Motoyama PY2FN, Brazilian President Michel Temer receiving the award, LABRE President Gustavo de Faria Franco PT2ADM, LABRE’s International Director Francisco José de Queiroz PT2FR.